The powerful king built here for his leisure time, important rituals and trades. The king loved to make this square full of candles and fireworks at nights, so it seemed like a sky with lots of sparkling stars. A wonderful scene when they made wooden bodies of animals and fired them just to watch. 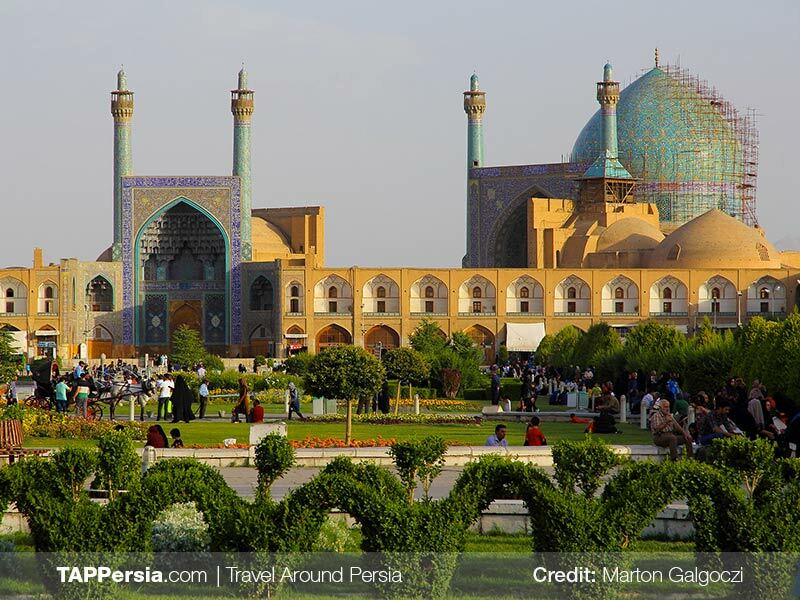 Shah Abbas I of the Safavid dynasty rode his horse right here and shot his arrows at the bags full of gold coins. These bags were hanging on top of a long standing stick, so he could watch the dance of gold coins in the air. This was a game called Qupoq. He also played Polo, a sport which originates from ancient Persia. We start our journey from the bazaars. As you go inside, you face a very vibrant, electric atmosphere. The beautiful handicrafts are set in front of every shop and you can see energetic people who just can’t get enough of all these beauties. The enchanting sun rays come in gently through the round holes of the roof, they’re very straight like someone has pulled them inside. The bazaar roofs are vaulted which indicate how ancient and ingenious they are. 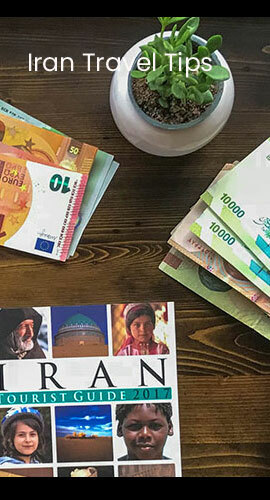 They have witnessed so many shopkeepers and people from all over the world since the Safavid time till now. If they could speak, they would have told you astonishing stories. 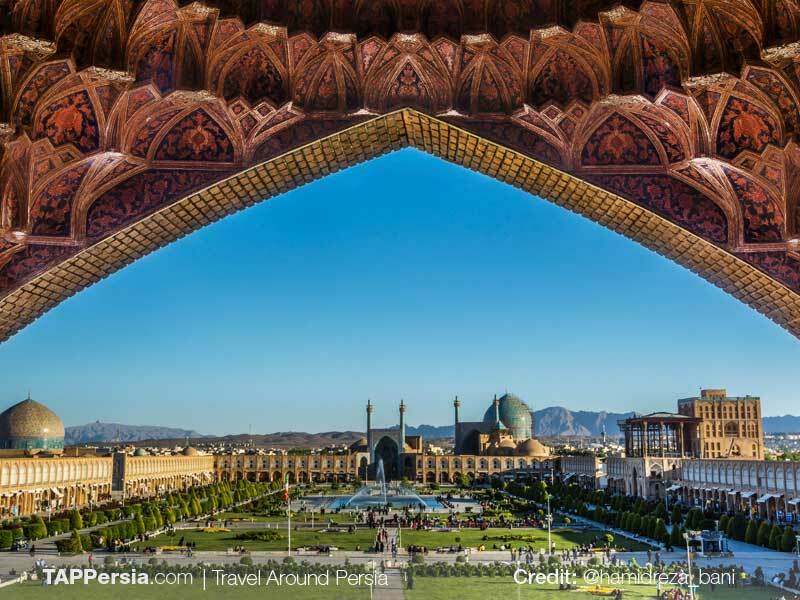 We go further and get the magnificent Ali-Qapu which is one of the wonders of the Safavid dynasty. 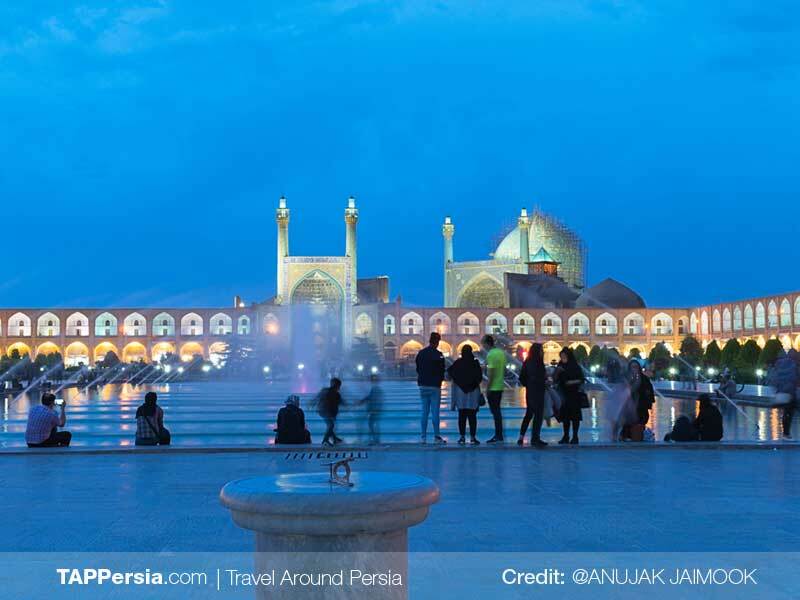 Going further ahead in the exquisite handicrafts bazaars, leads us to the beautiful turquoise Jame Abbasi Mosque. It’s a lot more splendid than what you hear or see in a picture, as you only want to sit on its white marble stones and gaze at the marvelous painted tiles. We can pass the mosque and walk through the Minakari bazaar. As you watch different Mina vases. 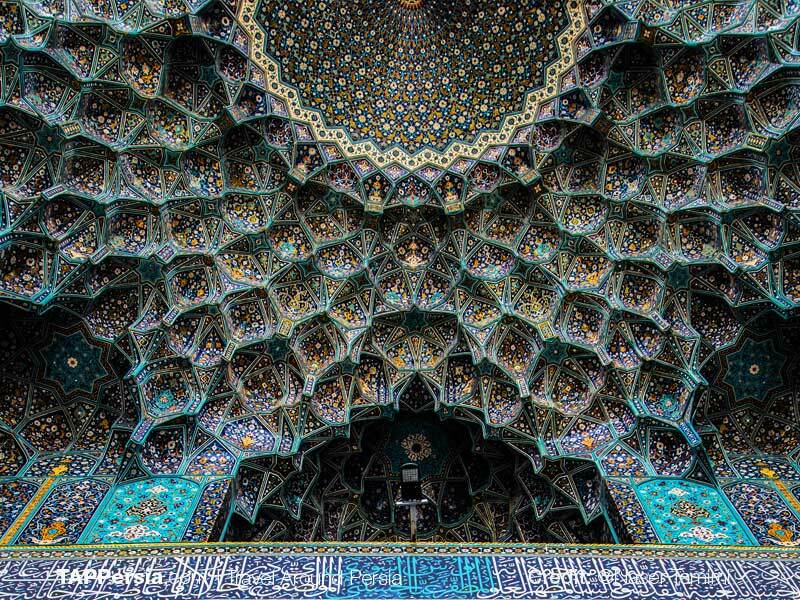 You may realize how similar designs are to the mosque paintings. The turquoise theme just caresses your eyes and calms you down. We walk even further and again we can see the light at the end of the bazaar route. The reason is we are getting close to the extraordinary Mosque which is called Sheikh Lotfollah. While passing through the bazaar, you may hear the sound of hammering. In fact, some are doing metal work (Ghalamzani). They carve on metal plates to make elegant designs. After passing here, you may smell some aroma, you’re actually in the spices bazaar. Lots of amazing Asian spices are waiting to be tasted by you. Just ask shopkeepers first and enjoy the unique experience. Next, you get to the Gheysarieh gate with a wonderful view and lots of fantastic paintings. 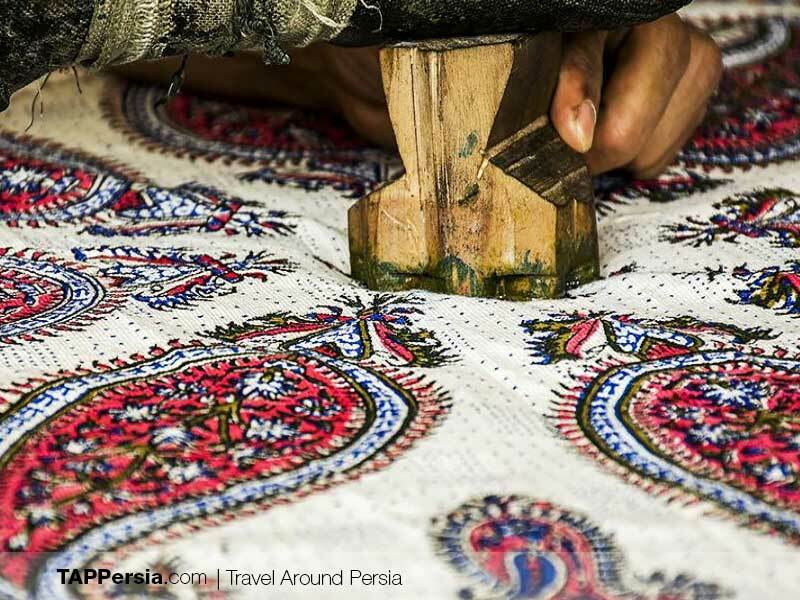 In Gheysarieh there are clothes and carpet bazaars. If you go on your right, you can also find the gold and silver bazaars. 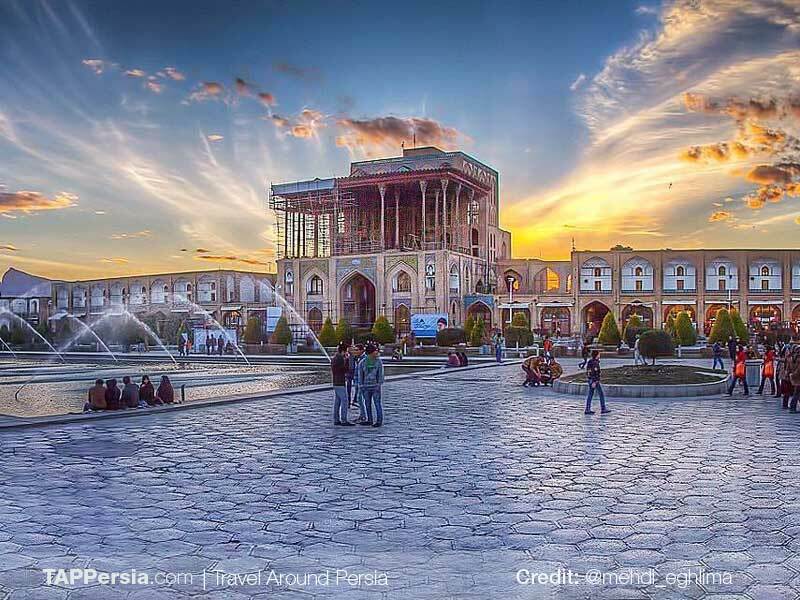 Finally, after this superb discovery, you can sit near the pool in the middle of the square, in the fresh air enjoy yourself with a traditional ice cream and Faloodeh (iced noodles).